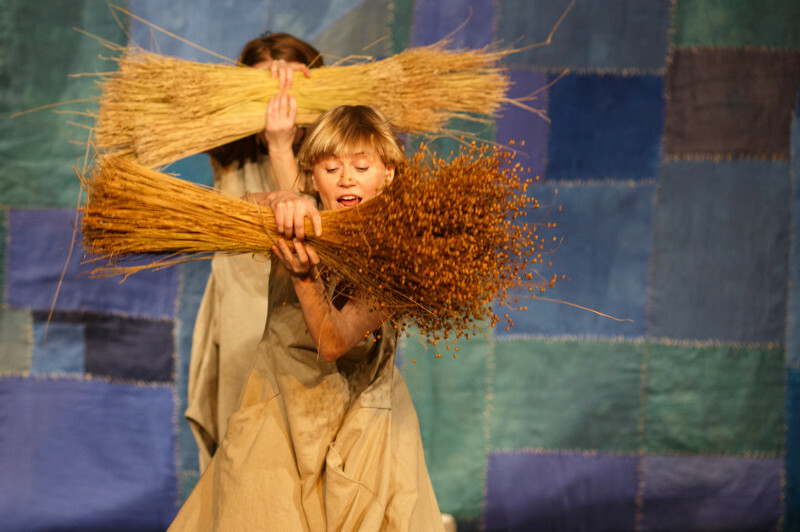 The performance takes us to the fields and meadows where flax grows. 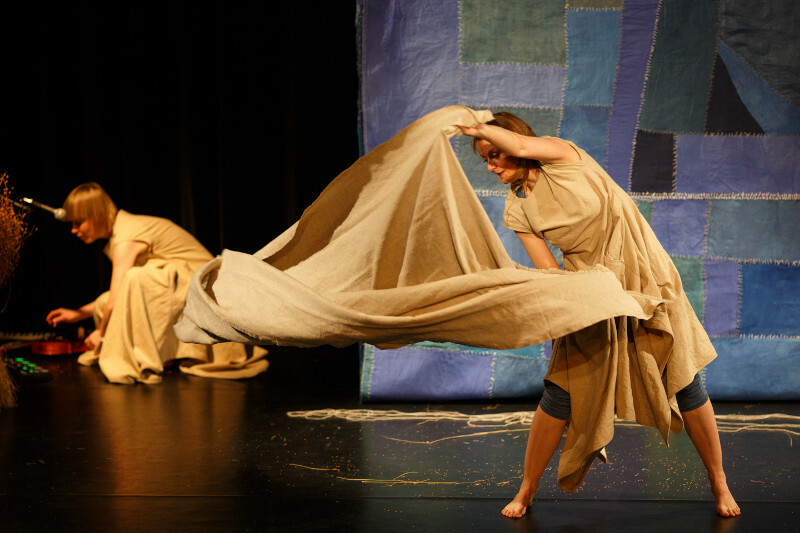 Scenes of the performance make up a peculiar patchwork woven with flax threads, arid stems, seeds and fabric. During the performance flax fields change depending on the time of the day. 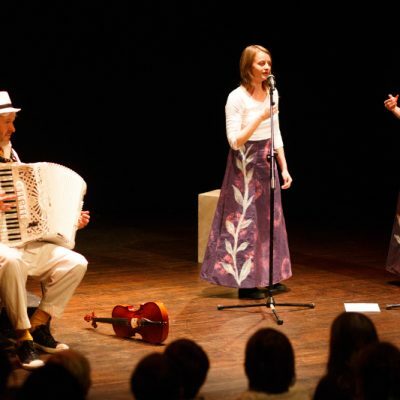 Vocally improvisedmelodies are a background for flax images.